ワークショップ: Big Data – the new competitive paradigm. How well is Japan prepared? The continuing low fertility rate in Japan, coupled with high ageing is a severe problem for Japan’s social welfare system and its economy. One important element of family policies is to provide affordable and good quality childcare institutions. In international scholarship on the evaluation of family policies, surveying parents specifically in regard to their satisfaction with family policies is rare. For the case of Germany, studies find daycare expansion positively associated particularly with maternal subjective well-being, with some differences between parents in West and East Germany, as well as that parents’ education, their income, and the age of the child all impact their levels of satisfaction with family policies. Mirroring the study by Camehl et al. (2015) and applying this to the case of Japan, I conducted a quantitative analysis of the JPWS 2012 (Japan Parental Well-Being Survey) data. 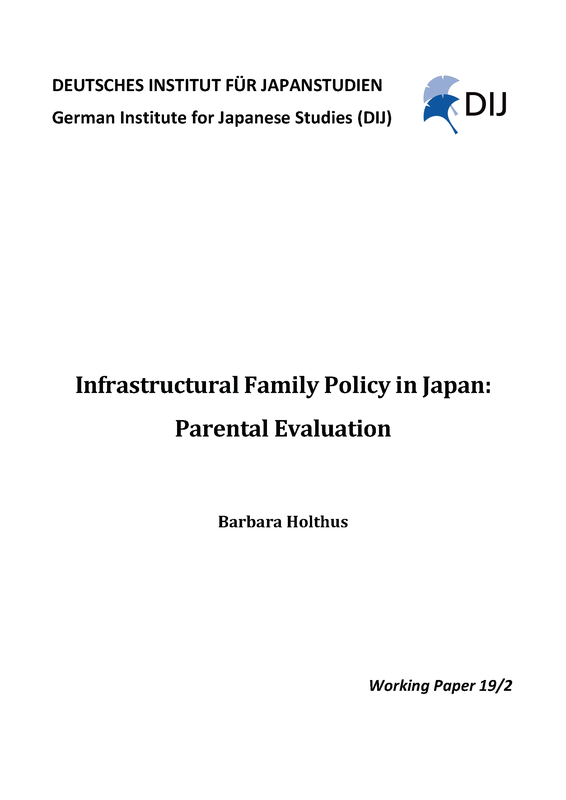 Findings are that Japanese mothers’ and fathers’ own experiences are an important indicator for their satisfaction with family policies. If they managed to secure a childcare space, in particular in a public daycare center, they are more likely to be satisfied with family policies. A place in a public daycare center in contrast to any other childcare institution contributes most significantly to the parents’ satisfaction with family policies. Furthermore, the region of living is a highly significant factor. Parents in the urban metropolitan areas of Kanto and Kinki are significantly less satisfied—due in part to the fact that in these urban areas daycare spaces are more difficult to get than in anywhere else. In regards to infrastructural family policy satisfaction, gender differences in satisfaction pale in comparison to regional differences. it is hoped that policy makers will acknowledge the importance of evaluating the “success” of family policies by the level of satisfaction of parents with family policies, and that the diverse conditions and needs of families in different regions be adequately addressed. The temporary and permanent presence of numerous Japanese citizens in Dusseldorf is certainly one of the reasons why the offerings of Dusseldorf’s ‘Japanese’ food sector are particularly extensive and diverse in comparison to other German cities. In spite of increasing academic interest in the growing Japanese foodscapes, in Japanese communities abroad, and in the overseas mobility of Japanese women, so far there is almost no research on the relationship among these topics. Düsseldorf and the (young) women who work in gastronomy there offer an interesting case study in this context. 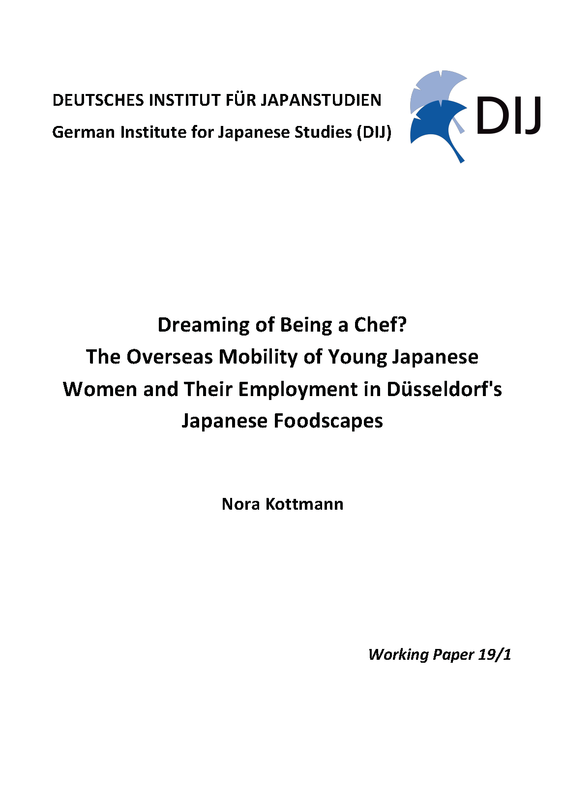 Using qualitative data from a field study in Dusseldorf’s ‘Japanese’ foodscapes from 2016 onwards, this article focuses on young Japanese women working in this sector. 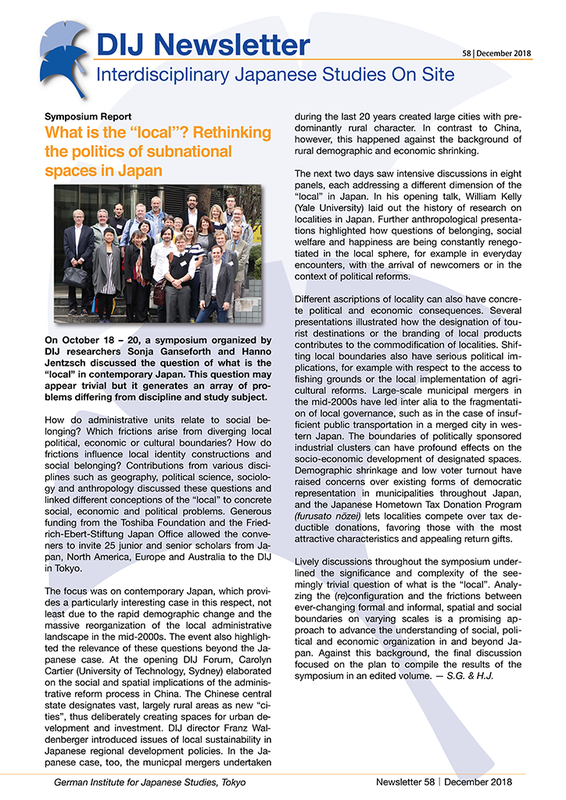 On October 18 – 20, a symposium organized by DIJ researchers Sonja Ganseforth and Hanno Jentzsch discussed the question of what is the “local” in contemporary Japan. This question may appear trivial but it generates an array of problems differing from discipline and study subject. Contemporary Japan, the flagship journal of the DIJ, publishes peer-reviewed original research articles and book reviews on Japan from all disciplines in the humanities and social sciences twice per year. DIJ NIRA Workshop: Big Data – the new competitive paradigm. How well is Japan prepared? Big data are at the heart of the digital revolution. In the digitalized and connected world data have become abundant. Rapidly developing tools to process, integrate and analyze large volumes of diverse datasets in ever faster and intelligent ways open up enormous potentials for research, private enterprises and public policy. 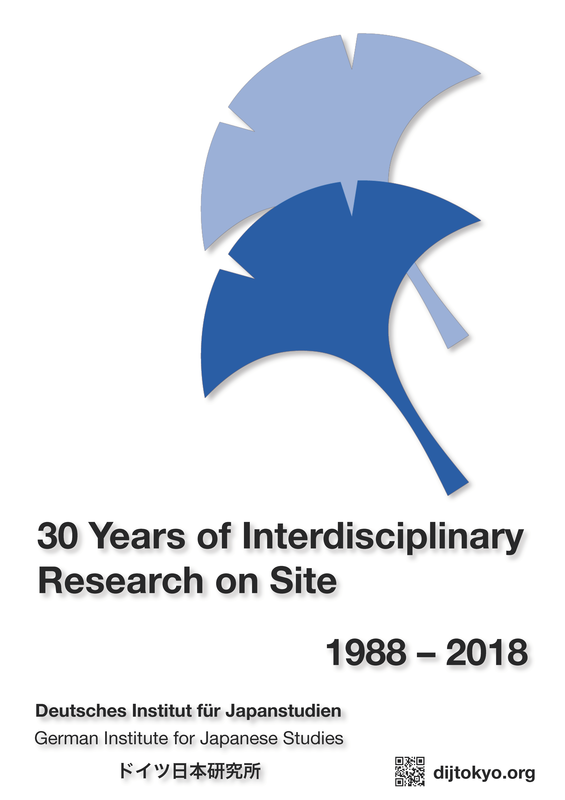 Together with 170 guests, including high ranking representatives from academia, industry and government, DIJ celebrated its 30 year anniversary on 31 October. Latest Statistics: Less overtime: Is Abe´s “work-style reform” working? Historically, changes in overtime respond to changes in economic growth rates. However, since 2016 the two diverge, with overtime almost continuously falling despite continuing GDP growth. “Pursuing happiness is not only idealistic, it is the world’s best and perhaps only hope to avoid global catastrophe” (Global Happiness Policy Report 2018). With that, the report argues for happiness as overarching policy goal. This volume argues that parental well-being is well qualified to assume a central role for governments of industrially advanced nations that are in need of coping with the challenges of low fertility and societal aging. More than 4000 mothers and fathers of young children in Germany and Japan have been surveyed in regard to their well-being and satisfaction with many aspects related to their work and family lives. The volume brings together 13 scholars to analyze this unique dataset. The chapters fall into three main parts: (1) parenting and childcare, (2) self, social relatedness, and social structures, and (3) family policy well-being. A particular focus lies on the well-being of mothers in contrast to fathers. The volume uses a multidimensional concept of parental well-being, with each chapter highlighting one dimension, ranging from health, education, employment, and family policy satisfaction to partnership, social network, and childcare satisfaction. National differences are in several aspects superseded by gender, class, and personality types. Multinational work environments challenge the coping capabilities of employees with additional culture-related stressors above and beyond those usually found at the workplace. This paper examines the differential effects of perceived team leader / member similarity, their actual national similarity, and the mutual overlap in personal values on the coping potential of team members in a multinational work team setting, with a special focus on the Japanese context. An analysis of the data provided by 365 dyads of multinational team leaders and members in mixed Japanese/non-Japanese work teams revealed that the coping abilities of team members who shared the leader’s country of origin (surface level national similarity) were not significantly higher than those of team members who came from a different country. Conversely, the actual overlap in personal values endorsed by a team’s leader and each individual team member emerged as a robust predictor for that team member’s coping potential, both directly and indirectly through generalized similarity perceptions. This highlights that in order to understand why some multinational work teams work out in the long run and others do not, an overly strong focus on surface characteristics of their composition (e.g., national or ethnic diversity) may not be an optimal approach. In many cases, the actual determinants may be the perceived and experienced match or mismatch between the deep-level psychological characteristics (e.g., shared personal values) of team members and their leaders. In Germany and Japan, like in most OECD countries, the equal pay for equal work principle and other regulations related to equal treatment have been strengthened recently through reforms. These have been justified and promoted as measures to address gender wage gaps as well as discriminatory practices regarding non-standard workers. Yet, observers remain sceptical as to whether these reforms will be effective. Previous research has argued that Germany and Japan as “socially conservative welfare states” (Gottfried and O’Reilly 2002) face particular institutional and value-related obstacles for achieving equal treatment in practice. This paper argues that, while these factors remain important, gaps between policy output and persisting inequalities are increasingly the result of a strategically motivated politics of balancing. Policymakers in both countries use existing institutions such as collective bargaining and labour-management consultations to balance conflicting policy goals, i.e. improving equal treatment and maintaining employment flexibility, which crucially relies on differentiated treatment of workers by, for example, distinguishing between standard and non-standard workers. By resorting to strategies of balancing policymakers hope to console both objectives while mitigating the political risks of controversial structural reform. DIJ Newsletter 57 is out now! 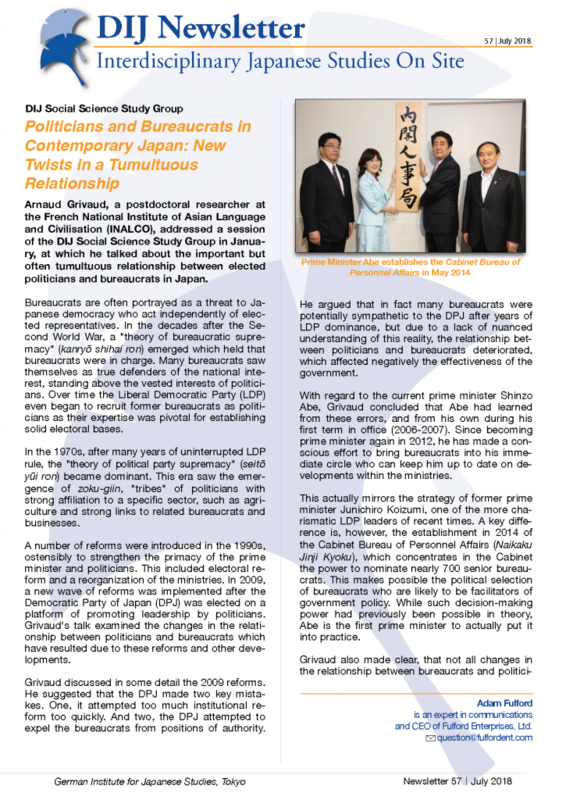 Arnaud Grivaud, a postdoctoral researcher at the French National Institute of Asian Language and Civilisation (INALCO), addressed a session of the DIJ Social Science Study Group in January, at which he talked about the important but often tumultuous relationship between elected politicians and bureaucrats in Japan. China’s recent rediscovery of the Silk Road reaffirms the country’s claim to being acknowledged once again in its role as the ‘Central Kingdom’. Its ambition is global but at its core is China’s position in Asia. Located in the heart of Tokyo, the Tsukiji Wholesale Market is the world’s largest seafood market with annual sales of 428 billion yen in 2017. It is most famous for its tuna auctions setting the world market prices, but in addition to seafood, there is also trade in vegetables, fruit, eggs, chicken and processed foods. The market was founded in the Edo period and stands in its present location since 1935. After decades of political contestation, it is now scheduled to relocate to a modern construction in Toyosu in October. Since 2012, Japan has been experiencing a veritable tourist boom. More than 28 million residents from abroad visited the country in 2017, four times as many as in 2011.